Most of the top HVAC manufacturers make a value line of air conditioners and the Bryant’s entry in that class is the Bryant Legacy Line Model 113A. But don’t mistake this for a cheap air conditioner – it isn’t, though it’s very affordable. It offers 14 SEER which gives it an Energy Star rating and it is backed by the same, solid 10-year warranty that Bryant’s top of the line models carry. That’s an impressive value! Soren in St. Paul, Minnesota thought so too and he recently had one installed. Here’s his HVAC prices post that includes the Bryant Legacy Line Model 113A 14 SEER central air conditioner price he paid. “Our family has owned a house on one of the lakes in the Detroit Lakes area for many years. It’s pretty much sat vacant for a decade since our parents passed away. Now a couple of us kids are married and have children and so we decided to fix the place up and start using it again. I took on the task of getting the furnace going. I had it checked over thoroughly and though it’s 15 years old, it hasn’t been used a lot. I had it cleaned up and it seems to work fine. Besides, we’ll close up the house for most of the winter, so a furnace will only be essential if some of us head up there during hunting season or early in the spring for opening day of the fishing season. Up to 14.0 Seasonal Energy Efficiency Rating – Energy Star product. Controlled by standard thermostat or the Bryant Thermidistat for use with a whole-house dehumidifier. Uses Puron refrigerant that won’t damage the ozone layer. Galvanized steel cabinet with the DuraGuard protective features. Powder-paint coated for durability and looks. Sizes from 1.5 to 5.0 ton cooling capacity. 10-year limited warranty covers the compressor and all functional parts. 4 ton Bryant Legacy Line Model 113A central air conditioner with cased coil and refrigerant lines: $1,699. Soren made a good choice of central air conditioner models for his purposes – and he made a great choice going with a qualified contractor who obviously knew his stuff. Always keep in mind when looking at central air conditioner prices that the quality of the installation is a huge part of how the system will perform in the years ahead. 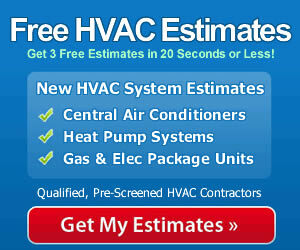 A properly installed central air conditioner will give you the efficiency and durability it is designed to deliver. Paying for quality installation is an investment that will pay you back – and then some – over the life of the system. Get more bang for your buck by using a professional contractor with a good experience and a solid reputation.